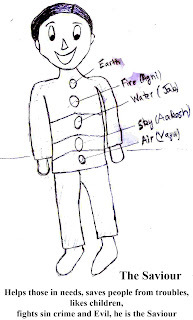 My story starts with a character named Arjun who lives in New Delhi, India. 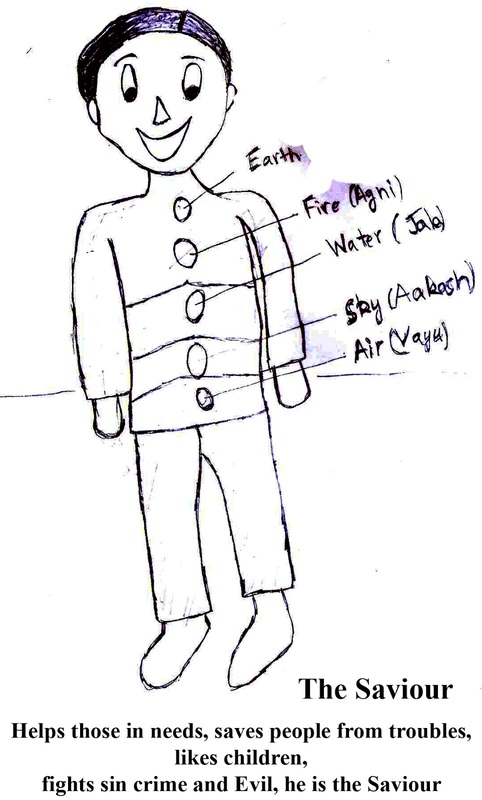 Through yoga and meditation he has raised all five elements (Earth, Fire, Air, Sky and Water) in his body and now has superpowers. People call him The Saviour, he helps people with his superpowers. He loves children very much. Arjun helps police to fight crime likes to help everyone. His goal in life is to make this world a peaceful place to live. Apart from this, he is an IT engineer and works in an MNC in Gurgaon. He spreads love, joy wherever he goes. His friends like him a lot for his honest and calm nature. 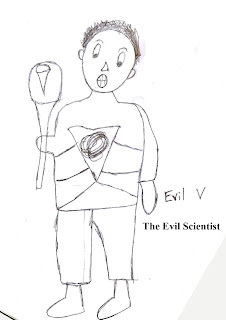 He is unaware of his enemy in future the Evil V.
The antagonist of my story is The Evil V (or the evil scientist) and he lives in his Evil Island. Once in a laboratory accident because of proton reaction he become very powerful. 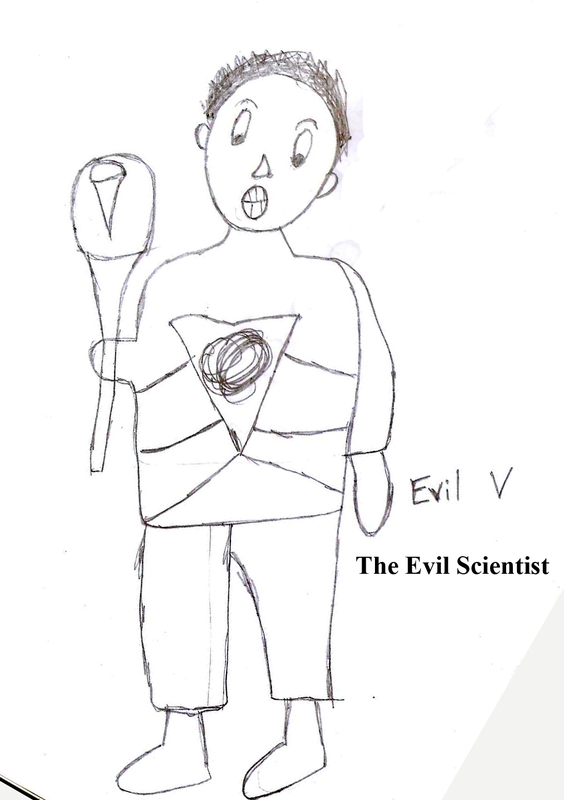 He has created his own evil army of robots and has created Proton Gun which is a very powerful weapon. It can destroy the earth within seconds. He is always trying to harm people to rule this world. He also has his Proton Stick in hand which can harm people. He tries to harm and kill Arjun as he knows he is the only one who can stop him from conquering this world. 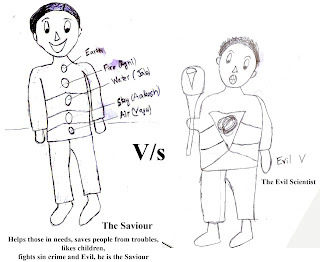 Arjun is unaware of all this as he has never met or heard about Evil V. It's not easy for Arjun to catch or kill Evil V as he never come out from his Evil Island. 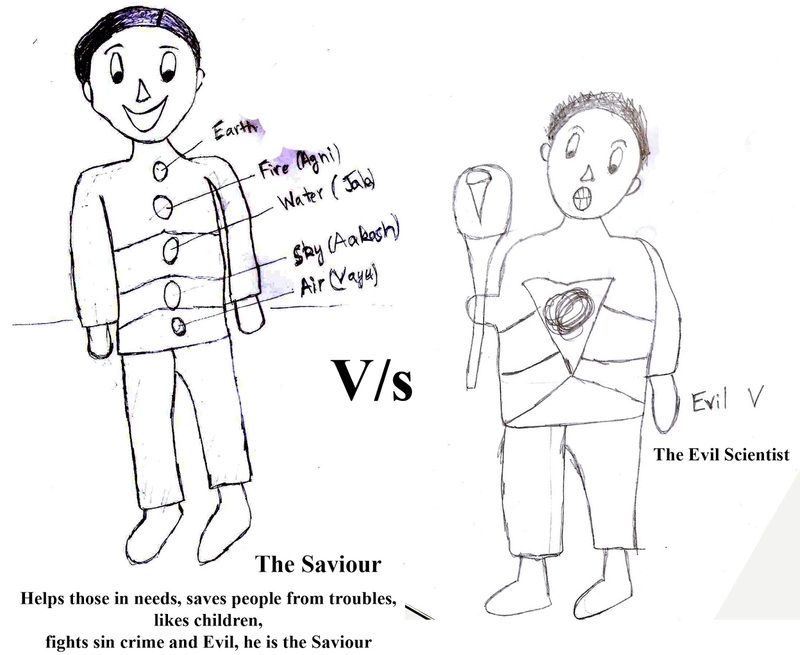 So, get ready for a war between good and Evil in this story. The characters and story is created for Jacob Hills on Amazon.